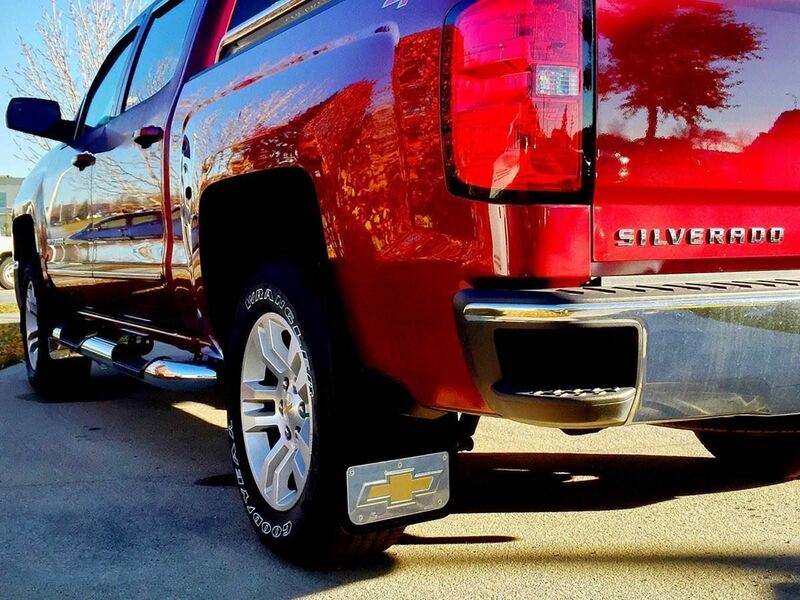 These Officially Licensed Gatorback Chevy Logo Mud Flaps are designed to fit perfectly into the front or rear wheel wells of most full-sized Chevy trucks and SUVs. 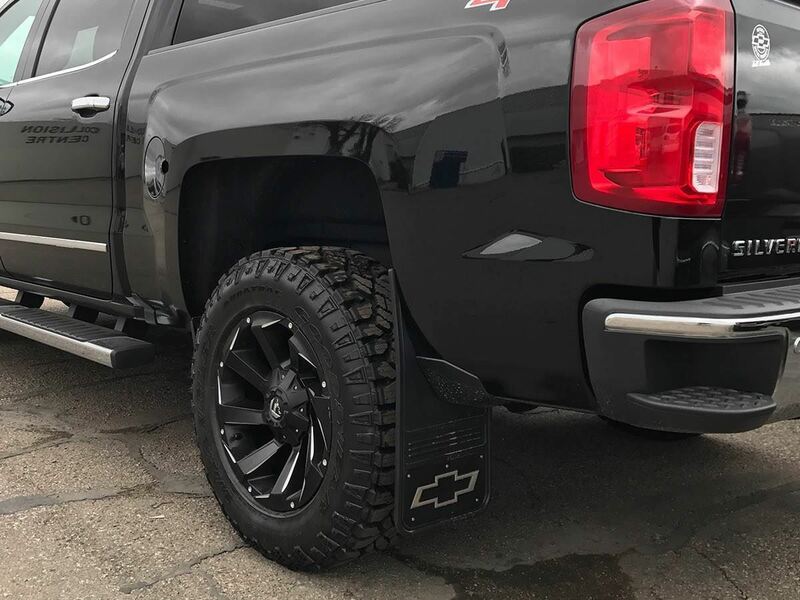 Gatorback mudflaps feature premium quality heavy-duty rubber to offer the best protection for the finish of your truck. These mud guards are an essential accessory for your truck, you'll never regret adding these exceptional flaps to your SUV, Chevrolet Silverado 1500, Silverado 2500 or Silverado 3500 pickup truck. Nothing on the market compares to these mud flaps! 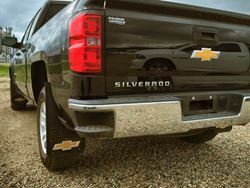 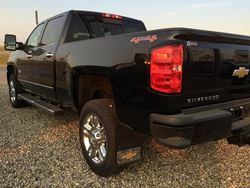 Made with 1/2" thick premium virgin rubber and finished off with stainless steel plates emblazed with a variety of Chevrolet licensed logos, these mud flaps are built to impress while they protect your pickup truck. 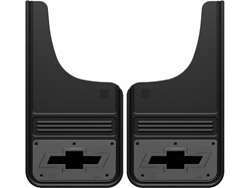 The quality weight of the rubber ensures that no rocks, dirt or debris will get passed these flaps. 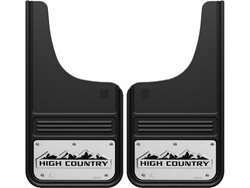 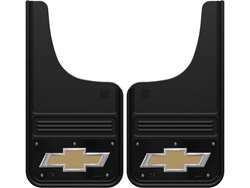 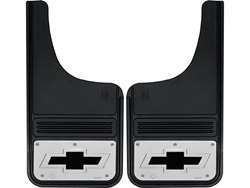 Officially licensed by GM, these mud guards feature a custom look with die-stamped stainless steel plates.